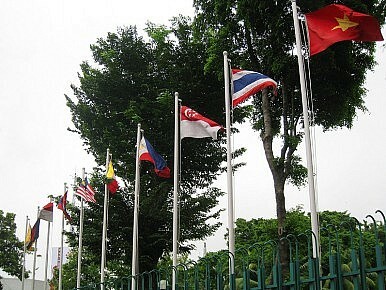 Indonesia takes up the chairmanship of ASEAN this year. Human rights promotion should be top of the to-do list. This July, Indonesia will officially begin its tenure as the chair of the Association of Southeast Asian Nations. With its request to swap the chairmanship with Brunei having been accepted, the biggest country in the region now looks set to retake its leadership role. There are high expectations, both domestically and internationally. As chair back in 2003, Indonesia came up with a proposal for an ASEAN Security Community, which eventually resulted in the ASEAN Political Security Community—a new body incorporating principles such as the rule of law, democracy, good governance, and the promotion and protection of human rights. Indonesia even proposed an ambitious initiative to build an ASEAN Peacekeeping Force, although this was ultimately rejected by other member states. Since then, Indonesia has been extremely active in constructing an ASEAN charter and later the ASEAN Intergovernmental Commission of Human Rights. So, what can we expect from ASEAN’s chairmanship this time around? According to the Indonesian Foreign Ministry, there will be three areas of focus for 2011: ensuring significant progress this year in achieving the principles of the ASEAN Community 2015 in political, security, economic, and socio-cultural terms; developing ASEAN’s role in regional architecture building, especially in terms of the East Asia Summit; and developing a vision of ASEAN for the post-2015 period. The first point is arguably the most interesting because it forms the foundation for the other two. But securing progress in this area will require a number of steps, including strengthening promotion and protection of human rights and good governance, doing more to tackle transnational crime, and developing a network of peacekeeping centres. Of course, a year isn’t long to achieve all this. Still, it should be long enough to help build momentum for bringing greater political and security cooperation to ASEAN at the highest level. But aside from the official plans announced by the Indonesian government, there are three urgent issues that need to be considered: institutional reform at ASEAN, how to narrow regional gaps in the promotion and protection of human rights, and how best to introduce an ASEAN mechanism for settling disputes. As ASEAN moves toward building a community that demands a higher level of integration, there’s an urgent need to reform the functions and authority of the ASEAN secretary general and secretariat. So far, the secretary general has only been mandated to undertake administrative matters—the emphasis has very much been on the ‘secretary’ rather than the ‘general’. This needs to change. The secretariat, meanwhile, should be empowered to design plans such as community scorecard, to ensure real achievements among member states. In terms of specific issues, Indonesia should continue its struggle to narrow the gap among member states between the promotion and protection of human rights. One way would be by pursuing the enactment this year of the ASEAN Declaration of Human Rights, which would offer a principled example of the regional drive on human rights values. On a related issue, Indonesia should press for the close monitoring of developments in Burma. It’s vital that Indonesia put more effort into enabling ASEAN to have more access there so that it can monitor the situation closely to ensure that the regime observes ASEAN principles. Another thing Indonesia can do is to take a lead in making use of an ASEAN-owned dispute settlement mechanism. It’s true that the mechanism, including the High Council, has many potential weaknesses. But without the political will to try to use it, then there’ll be no way of establishing where exactly the weaknesses are. The recent military clashes between Thailand and Cambodia over the Preah Vihear temple—where Cambodia preferred to bring the case to the UN, while Thailand remained silent—underscored how far ASEAN has to go. Last, as I’ve already mentioned, Indonesia should scrutinize efforts to establish a network of peacekeeping centres. There’s certainly a need for regional peacekeeping arrangements to support and to work under the UN Security Council. But rather than just creating more meetings, the focus should be on building the capacity to encourage the development of peacekeeping centres as well as joint training exercises. This task, perhaps more than the others, will require more than the single year Indonesia has this time around, as Jakarta will have to work hard to create an adequate ‘comfort level’ among all member states on this sensitive topic. But it’s an issue that encapsulates better than any other the boldness and strength that will be required of Indonesia to help it move ASEAN forward.